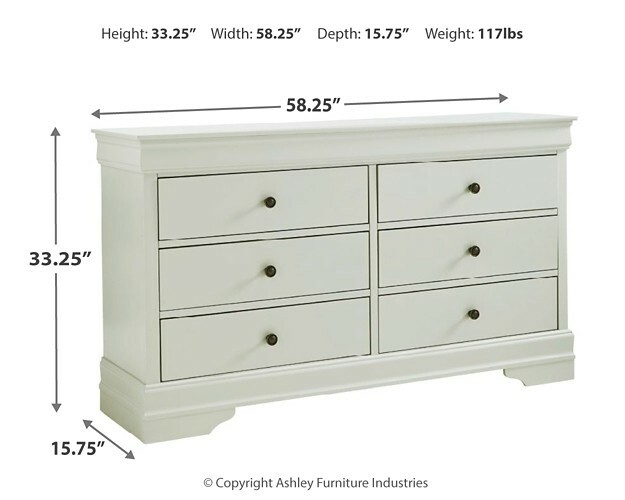 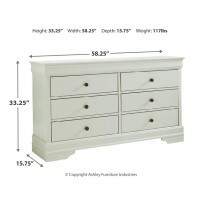 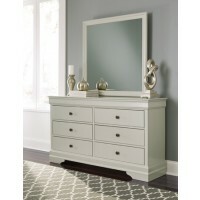 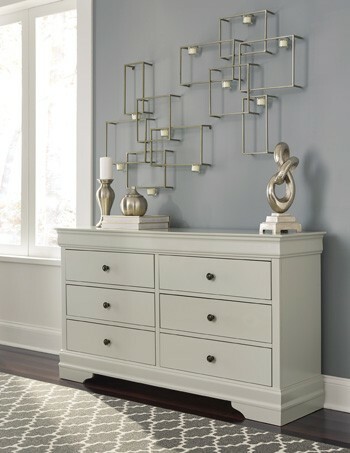 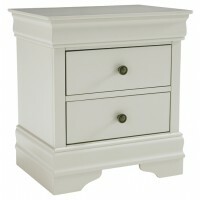 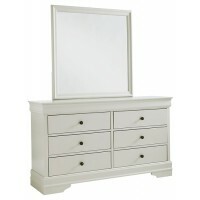 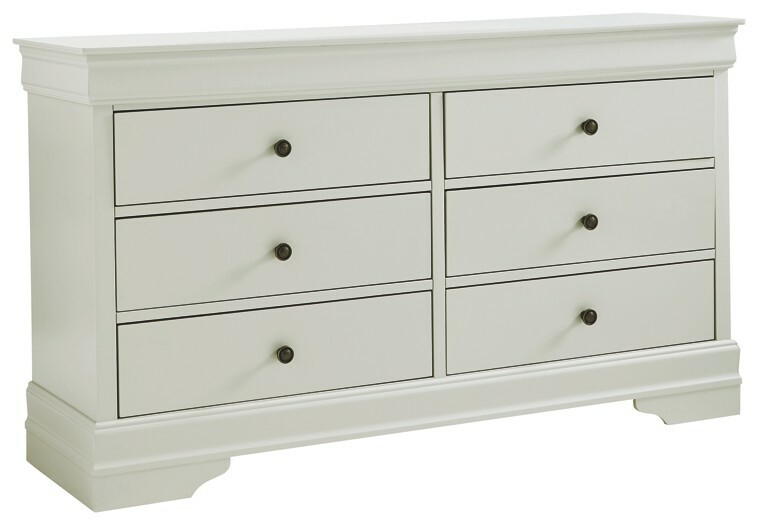 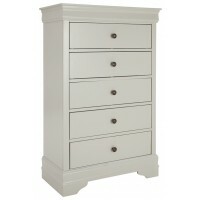 This dresser is all about subtle detailing. 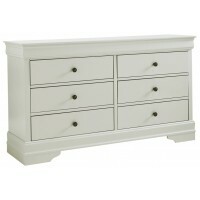 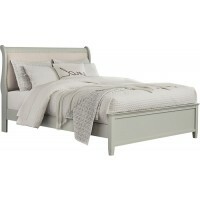 Classic Louis Phillippe styling with gorgeous top moulding and scalloped-edge feet instantly grabs your attention. 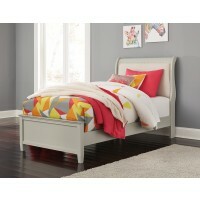 Light gray hue offers a clean and crisp appearance for a fresh spin on traditional design. 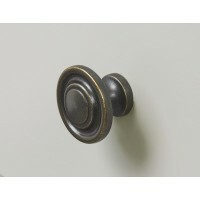 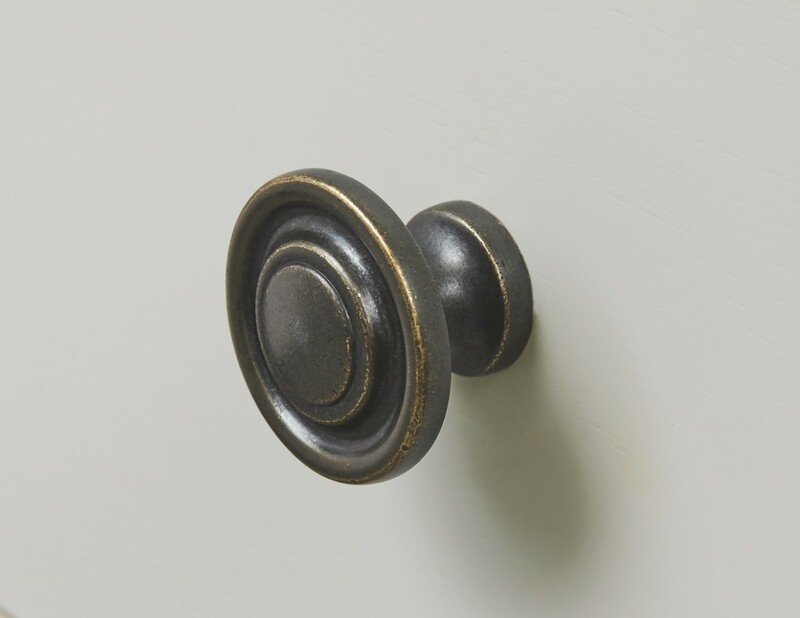 Antiqued brass-tone knobs build visual contrast while making it easy for you to pull out the spacious drawers.